Do you remember how your parents used to ask you to sit up straight? They were instilling in you the habit of maintaining a good posture. Maybe you didn’t heed their advice and have basically slouched all your life. Still, everything’s not lost yet as you can wear a back brace for posture to turn things around. The use of a back brace for posture can go a long way towards ensuring good health. This product is also called by different names like posture corrector, clavicle braces and posture braces. These come in many sizes, designs, and colors. Adults and youngsters alike will benefit from wearing a posture corrector. This article will share everything you need to know about this wonderful product. A posture corrective brace is a device that is applied externally, designed to enable people to correct longstanding posture problems. It keeps the neck, back, and shoulders in an upright position by gently forcing the muscles to keep the body in the right position. With regular use, the brace will teach your muscles how to maintain a good posture that you should not need to use the support anymore. Posture braces are to be worn at least 30 minutes a day. Doing so would let the muscles relax and heal. When used for 2 to 3 months, the best posture corrector can correct your posture, reduce back pain, and make you look taller and more confident. A posture corrector pulls the shoulder back and away from your ears, so that your back would be forced to stay straight. By keeping the back and spine straight and properly aligned, it can artificially strengthen the body’s core and relieve pressure on the beck, shoulders, back, and even abdominal muscles. Back posture support brace is often mistaken for a back brace. But there are distinct differences between the two. A back brace is usually worn around the lumbar area, or the lower back. It is designed to minimize movement and provide support for people who lift heavy objects. It’s also great for people who have back strain, scoliosis, and other medical conditions. On the other hand, a posture brace is worn to support the upper back and shoulders. It provides resistance to pull the shoulders rearward, preventing that part of the body from slumping forward. How Comfortable Is It To Wear? Comfort level will greatly depend upon the design of the posture corrector. A well designed and correctly fitted posture brace should comfortable to wear even on extended periods. Of course, there is normally an adjustment period lasting for several days. During the adjustment period, the wearer’s body becomes accustomed to the new normal position of the shoulders and back. There will be some discomfort during the initial adjustment period. Posture braces may restrict body movement that several makers of this type of product caution their customers in wearing one while driving, operating machinery, and performing other tasks requiring a full range of motion. The restricted body movement may prevent the wearer from driving or operating machines safely. Posture braces are made from different types of materials. Some of the more common materials used in clavicle braces are spandex, rubber, and polyurethane; all of these are stretchable. Non-elastic materials primarily cotton are also used in many postural braces. The device is usually fastened around the shoulders via a hook and loop system. There are also those that are stretched over and around the shoulders, or come in plastic snap buckles. There are also back braces designed for men and women. A posture brace for men typically is larger than a posture corrector for women. It’s ideal for men who work in the construction industry where laborious tasks like lifting of heavy objects can force a worker to alter his body posture to be able to accomplish the task. Truck drivers and movers who are prone to back and neck problems due to the nature of their work may also wear a posture brace. Even men with white collar jobs would find a posture corrector for men useful, especially those who tend to slouch when in front of the PC monitor. On the other hand, a posture brace for women is in the form of a bra that can support the breasts while lessening tension on the back, shoulders, and neck. This posture aid is especially great for women with large breasts, who are almost always the ones who complain of upper and lower back pain. Posture bra ensures that the weight of the breasts is evenly distributed, and that it would be easier for women to stand up straight. Usually, posture bras have features like thick straps, separated cups and front closure. There are also back brace for posture designed especially for use of children as young as eight years old. But before buying one for your kid, you should consult first with a pediatrician if a posture support is recommended for the child, and how often it should be used. Who Should Wear a Posture Brace? While anyone can wear this product to improve his/her posture, there are specific types of individuals who may find a posture strap very useful. For example, people who often complain of back pain should consider wearing a good posture brace. Back pain is aggravated by poor posture. According to celebrity doctor Mehmet Oz, slouching can add around 100 pounds of stress on the lower back. He adds that people who also like to slouch are adding around 10 pounds of stress on the spine for every inch that their head drops forward. Thus, by wearing a posture brace, you can avoid slouching and thus prevent aggravation of back pain as well as related aches like shoulder and neck pain. In many ways, wearing a posture brace can also preventive in nature. 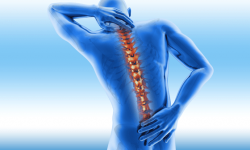 Wearing one can strengthen the spine so that spinal-related problems will be avoided later on. Studies have shown that spinal problems can start as early as age 29, thus you’d want to avoid issues like herniated discs later on in life. Remember that the spine is an integral part of the nervous system. An unhealthy spine can interfere with this system, resulting in numerous health problems such as back pain, weakness in the legs and arms, and to a certain extent, digestion problems. A back posture corrector isn’t only for those who have back, shoulder, and neck pain. It’s also great for people whose daily activities put stress on the spine. Even if you’re not having any pain in your back or shoulders, you’d want to wear a posture brace if you have an office-based job which requires you to be in front of the PC most of the time. A typical office worker in front of a computer has his head coming down and forward. Eventually, the muscles located in front of the shoulder will become shorter and tighter. The muscles in the back will then become stretched, weakening them in the process. In fact, even teenagers and young adults who may not always be in front of a PC all the time may need to wear a shoulder posture corrector. Studies have shown that there’s an increasing number of youngsters aged 18 to 24 years old who are complaining of back pain, and this could be due to the poor posture they have when in front of their Ipads or iPhones. There’s even a term for that poor posture — iPosture. One survey showed that 84 percent of people aged 18 to 24 had complained of back pain in 2012. These young people are usually hunched over their iPhones or iPads on a sofa, not minding the basics of good posture. Even adults who don’t have an office-based job and appear to be healthy enough not to wear a posture corrector should use one regularly. Wearing a back brace for posture is recommended for athletes and bodybuilders who lift heavy weights. Wearing one can help them maintain a good posture when lifting weights, and reduce the risk of injury in the process. What to Look for in a Back Brace for Posture? If you’re now convinced that you need to wear a back brace to improve posture, then you might ask—so what should I look for in a posture corrector? One of the top priorities, if not the top priority, in choosing a posture corrector is comfort. You’ll probably use the product regularly to improve your posture, so you have to find one that you’re comfortable to use. Simply put, if you’re uncomfortable with the posture brace, it is likely that your posture won’t be corrected. Worse, your posture may even worsen. If you are to buy one online, you should purchase one that has adjustable straps so you can have more room for movement. You must also acquire a brace with a refund policy, allowing you to get your money back in case you don’t find the item comfortable to wear. Obviously, the size of the posture brace is another factor that can influence your buying decision. While there are some posture braces that have a “one size fits all” design, there’s no certainty that one would fit you. Most of the time, the “one size fits all” design applies only to people of average weight and height. If you’re too tall or on the heavy side, then a “one size fits all” brace may not suit you. This is where reading posture corrector reviews can come into play. If you read a lot of posture brace reviews on Amazon.com and any other website for that matter, you’ll have an idea how adjustable certain posture brace models are. Another factor that you need to consider in shopping for a posture brace is the style and appearance. If you’re a guy, you certainly would want to avoid a posture corrector that looks like a bra. In case you can’t find any that doesn’t look like a bra, at least make sure its materials won’t make you appear that you have a bra underneath your clothes. But what if you’re a woman looking for an improve posture brace? There are certain things that you need to be conscious about. One is that the posture corrector should have separated cups to properly support your breasts. The best back brace for posture will give enough support to your breasts, with thick straps to boot. Another quality of a good posture corrector for women is having a high racerback and front closure, which can relieve pressure better than a back hook. Of course, the price of the item will always come into play whenever you’re shopping for just about anything. You might be curious as to how much a shoulder brace for posture would cost you. On the average, a decent brace will range from $30 to $100. It should be noted that you don’t need a doctor’s prescription to be able to purchase one. Most posture correctors are over-the-counter items. But you’d want to have a doctor’s prescription or even a letter of medical necessity in case you want your medical insurer to pay for the posture corrector that you’re getting. This letter will prove that purchase of the product is medically necessary to treat an injury or illness. Check first with your insurance provider if your plan includes coverage for this expense. On a lesser degree, you should also be conscious of the care instruction. Posture correctors are like clothes that have to be cleaned regularly. Some models are machine washable and dryable; others should only be hand washed and air dried. If convenience is important to you, buy a posture corrector that is machine washable. High tech features may also sway you to buy a certain type of back brace for posture. There are new models that work like activity trackers, capable of detecting information like calories burned, number of steps taken, sleeping habits, and even the amount of time you spend sitting and standing. 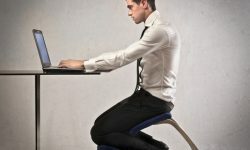 Are There Other Ways of Improving Posture? If you have an office-based job, sitting on a chair for eight hours can be extremely tiring and can wreak havoc on your posture. The back muscles would become tight and your shoulders will become rounded. The pain would worsen every single, passing day. That’s why you should have an ergonomic desk chair at work because it can improve the way you sit. Ergonomic chairs are shaped in a way that it can adequately support the back. It usually has a thick, comfortable cushion that makes sitting for long periods a lot more bearable. One of the reasons why your upper back and neck hurt after a long day in the office is the way you slouch towards the PC screen. You can adjust the computer display’s height so that you won’t have to bend your neck towards it. By adjusting the computer screen’s height, you will immediately notice how comfortable and relaxed your neck, upper back, and shoulder will become. No matter how busy you are; you will still have to squeeze in some time for regular exercise as this can help you in maintaining good posture. And you’ll realize that exercising won’t demand a lot of your time especially if you’re targeting your back. Come up with a stretching plan that you can routinely perform even on working days. Then follow those exercises to make your muscles relaxed and stronger. Stretch twice a day so that your posture improves over time. You can ask your colleague to take a photo of you while you’re seated in your chair. Then place the photo on your desktop to give yourself a gentle reminder of how you can improve your posture. This should remind you to straighten your back every time that you are in front of your computer monitor. Alongside the use of a back brace for correcting posture, these tips should go a long way towards improving your posture and alleviating back pain that you may be experiencing. Maintaining good posture can also make you look more confident and attractive. Indeed, poor posture is something that you can correct with the use of a back brace for good posture. Wearing a posture corrector will make your back muscles to keep your back straight and upright. So what are you waiting for? Start looking for a posture corrector now to be able to improve your posture soonest. Lower Back Support Brace: How Can It Help Treat Back Injury?